Kristine Duncan, RDN, CDE, at Veggirlrd.com, recommends her Strawberry Sundae with Dark Chocolate Balsamic Vinegar. Have you paired balsamic vinegar with strawberries? 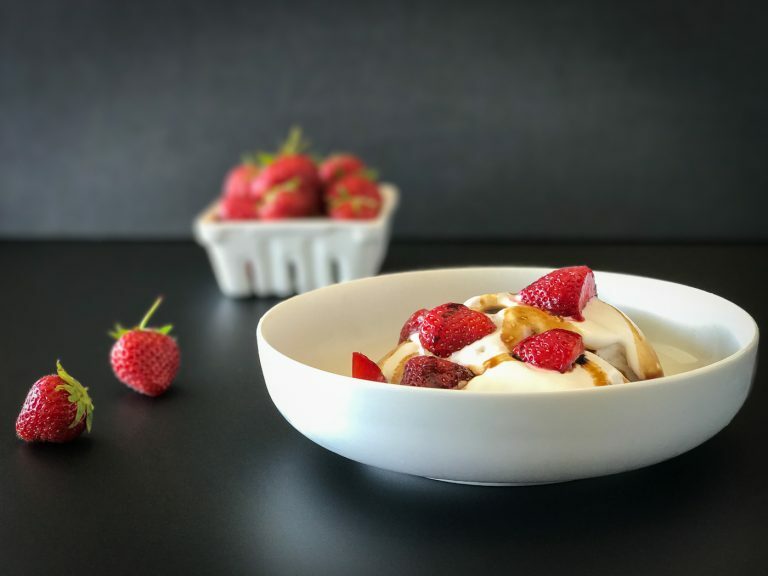 It’s a fusion of sweet and sour flavors that makes for a creative way to enjoy berries, Kristine promises! Dietitian Amy Gorin, with AmyDGorin.com, shares her Pomegranate Crunch Dark Chocolate Ricotta Cups recipe. Take advantage of pomegranates being in-season! 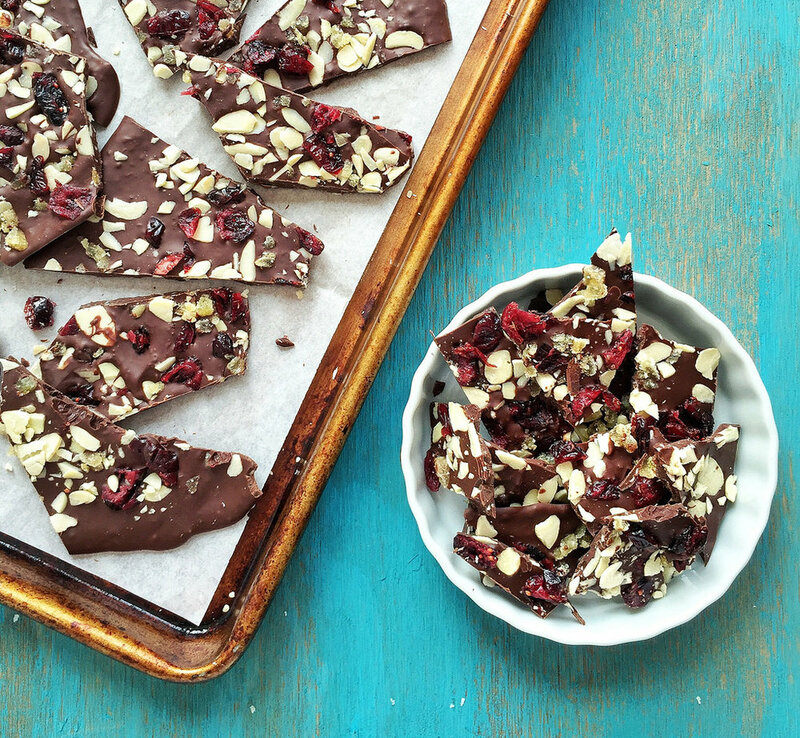 Try Liz Weiss’ recipe for Chocolate Cranberry Almond Bark. According to Liz, just a few bites of this luscious Chocolate Cranberry Bark is all it takes to satisfy a sweet tooth. Liz is an RDN and host of the Liz’s Healthy Table podcast and blog. Alyssa Ashmore, MS, RDN, CSSD, LD, of alyssaashmore.com, shared her recipe for Healthy and Easy Chocolate Oatmeal Fudge Bites with us. We’re glad she did! Alyssa prefers them as small square-sized bites. They’re cute, perfectly finger-sized, and make her feel like she’s eating more when she has two to three of them. Dietitian Ashley Koff, CEO of The Better Nutrition Program, notes that her Better Dark Chocolate Squares allow you to load up on magnesium for heart health, muscle relaxation, and to help your body process stress better! Lauren Sharifi, dietitian with Bite of Health Nutrition, shares her recipe for Chocolate Coconut Dessert Hummus. Lauren notes that “dessert hummus” has recently become all the rage, and is being marketed as a “healthy for you” dessert. Judith Scharman Draughon, MS, RDN, LD and author of Lean Body Smart Life, suggests dipping berries into her Chocolate Hummus. It even works as a topping for pancakes, waffles, French toast and crepes! Kelly Jones, dietitian with EatRealLiveWell.com, wants you to try her Simple Vegan Chocolate Truffles. If you haven’t made truffles before, get your hands on the seven ingredients called for in the recipe, and give these a try! A second truffle recipe is provided by Lillian Yin, RD, CBE, owner of CrumbInk. 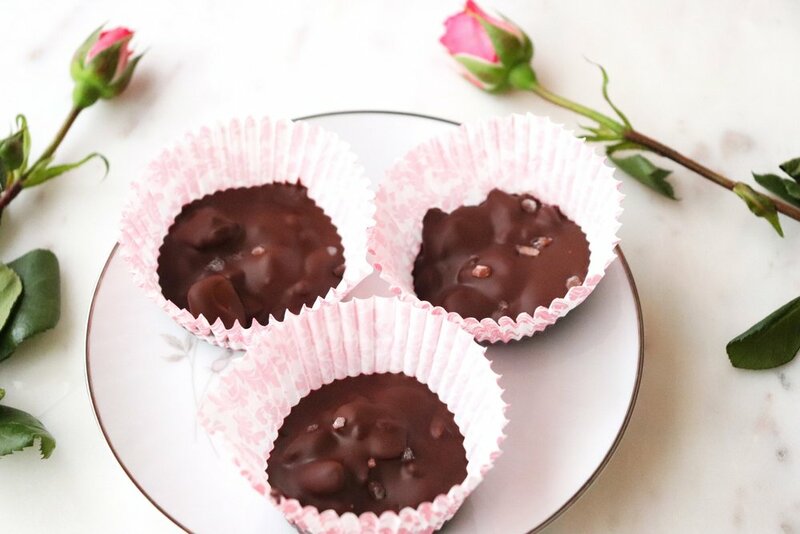 Her Heart Beat Truffles contain a secret ingredient – pulses! They’re high in fiber, low in fat and a great source of protein. Lillian notes they are great in salads, as dip and as dessert! Dr. Pamela Fergusson, RDN, at PamelaFergusson.com, recommends her recipe for Salted Caramel Peanut Butter Cups. These vegan peanut butter cups are ooey gooey delicious, she promises! Dietitian Laura Newton Rutledge, with NourishingPlate.com, suggests making her Dark Chocolate, Cherry and Pistachio Cups this Valentine’s Day. 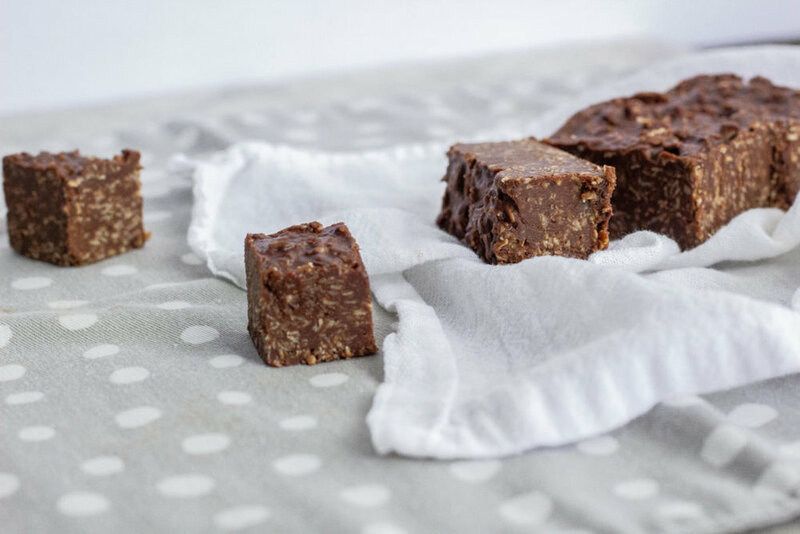 Kara Landau, ADP and founder at Uplift Food, shares her Fudgey Chocolate Prebiotic and Probiotic Brownie Bites recipe with us. Try these Green Banana Flour Brownie Bites from dietitian E.A. Stewart. E.A. says that you’d never guess that these luscious, super chocolaty, brownie bites are made with belly-friendly green banana flour which helps promote a healthy gut microbiome. Dietitian Ginger Hultin, owner of Champagne Nutrition, shares her recipe for Vegan Chocolate Mousse. Grab a spoon! Leah Swanson, RDN, CD, owner of GotNourishment.com, suggests her delicious Vegan Dark Chocolate Antioxidant Pudding recipe. Prep this dessert for your Valentine in just five minutes. 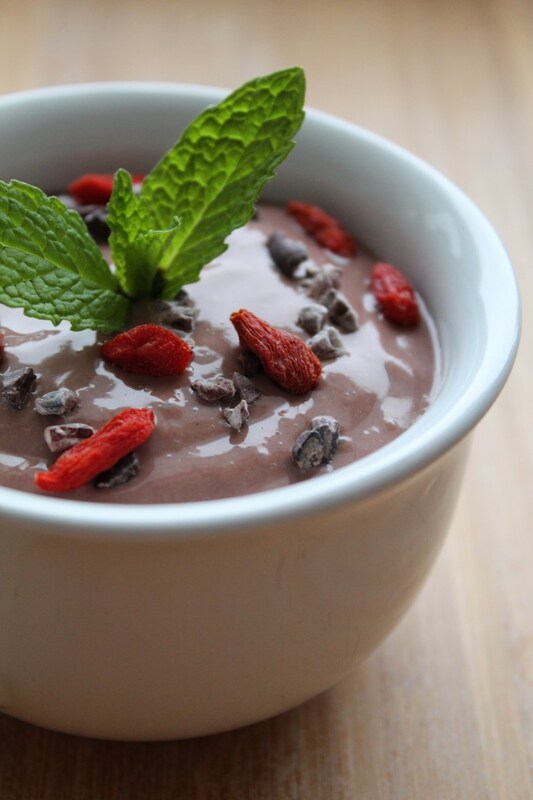 Leah notes that you’ll get a punch of antioxidants from the cocoa powder, goji berries, and cacao nibs – triple threat! Bonnie Taub-Dix, dietitian and owner of BonnieTaubDix.com, makes her Pumpkin Bread with Dark Chocolate Chips and Almonds on Valentine’s Day. Brittany Poulson, owner of YourChoiceNutrition, suggests starting Valentine’s Day with breakfast in bed. 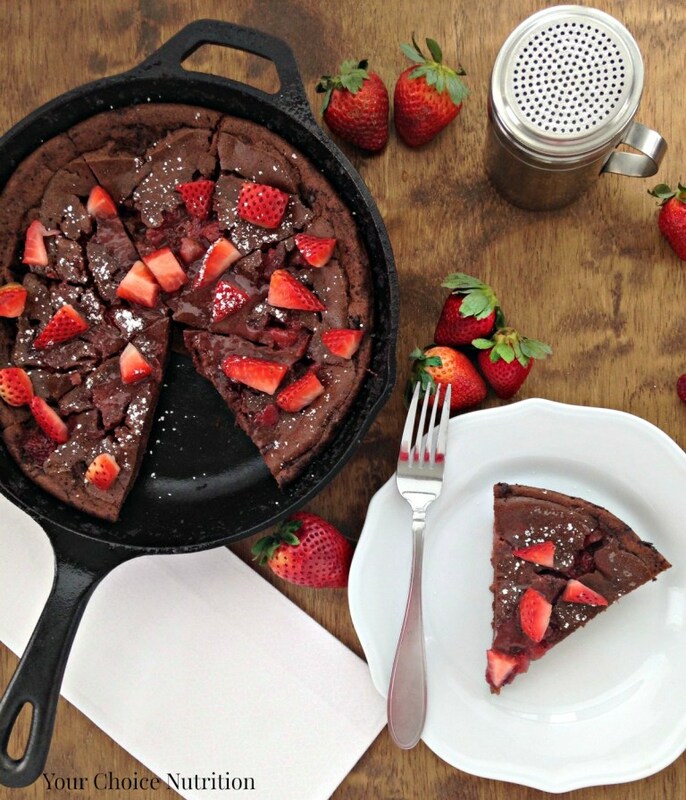 Try her Chocolate Strawberry German Pancakes recipe, which combines her two favorite loves: dark chocolate and strawberries. What dark chocolate-containing foods will you be making this Valentine’s Day?